I’ve spent years perfecting my sugar flowers, and they are my absolute passion. They give a lot more flexibility and choice as you can have any flower in any shade at any time of the year! 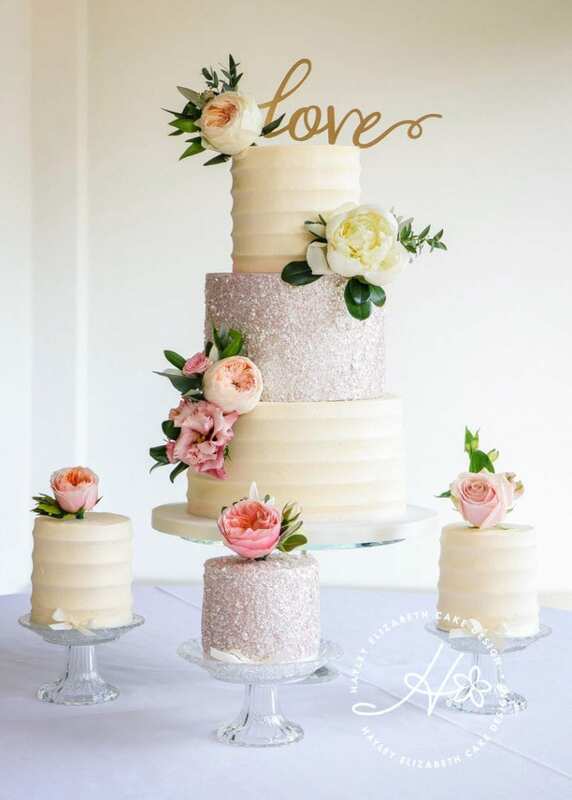 Because of the way they attach to fondant icing, the sky really is the limit when it comes to wedding cake design ideas (make sure you check out my sugar flower gallery!). Furthermore, they can be matched to your colour palette, which is why I always advise my couples to bring any swatches to consultations. Another benefit of sugar flowers is their durability. Whilst they are intricate, they are surprisingly sturdy! They won’t wilt in the heat, and can even be kept for years as a memento of your big day. Sugar flowers also alleviate the element of doubt of whether your desired blooms will be available. And let’s face it, one less stress in planning a wedding is always welcome. Depending on the design, sugar flowers can be higher investment due to their time-consuming, intricate. However, that is not always the case, and I believe this is far outweighed by the benefits. 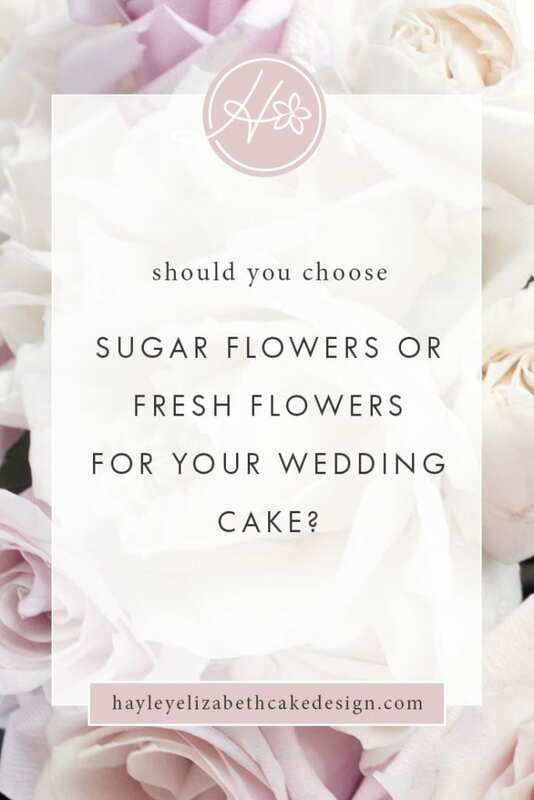 There’s nothing like a fresh flower, but are they right for your wedding cake? They smell beautiful and are on trend (think Harry and Megan’s elderflower creation!). However there are downsides to real blooms. Firstly you are limited in your choice of flowers by the time of year, and importing them pushes the price up. If using seasonal blooms, real flowers can be a more cost-effective option, but this is once again dependent on your design. Unfortunately, even seasonal flowers have an element of doubt. Unpredictable weather (this is the UK, after all) means you might not get the exact flowers you planned. We also need to consider safety when it comes to fresh flowers. As they will be touching the cake, they must be free from any pesticides and dirt. 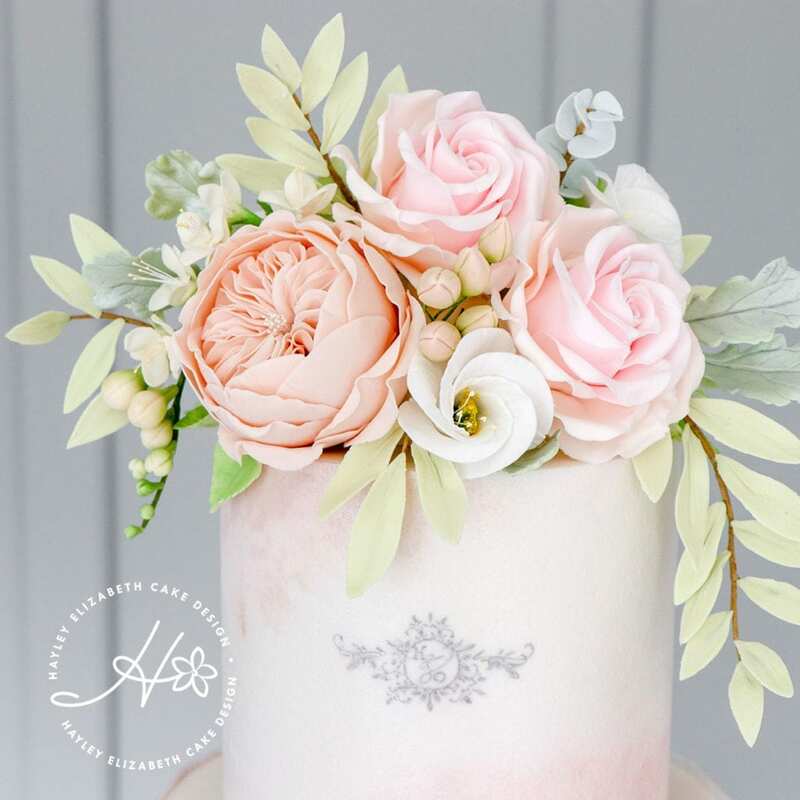 While edible flowers are very ‘du jour’, some of the most popular flowers requested for wedding cake decoration are, in fact, inedible – and some are even poisonous. 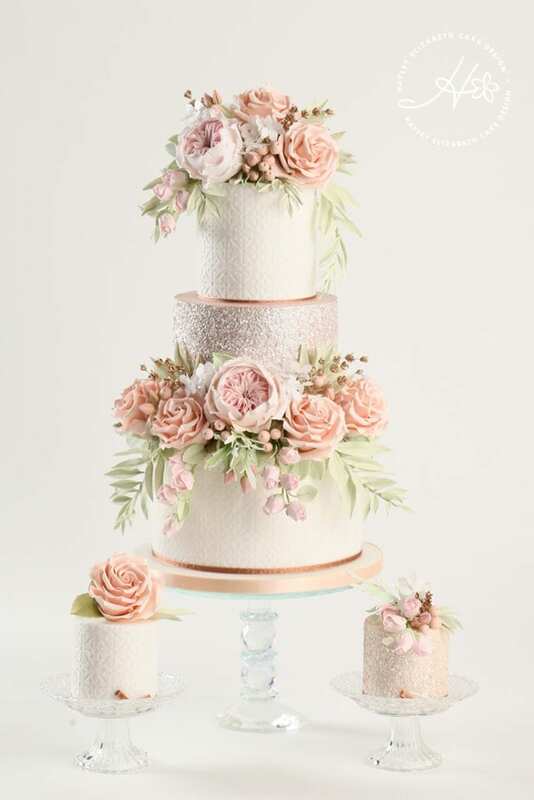 You’ll need to speak to your florist, who will be supplying and attaching the fresh flowers, as to which will work on the cake. Another thing to consider is their ‘shelf life’. Once cut, fresh flowers are on borrowed time, and can wilt very quickly – especially on a hot summer’s day. Bear this in mind so as to avoid any disappointment when you come to cut the cake. Want the best of both worlds? 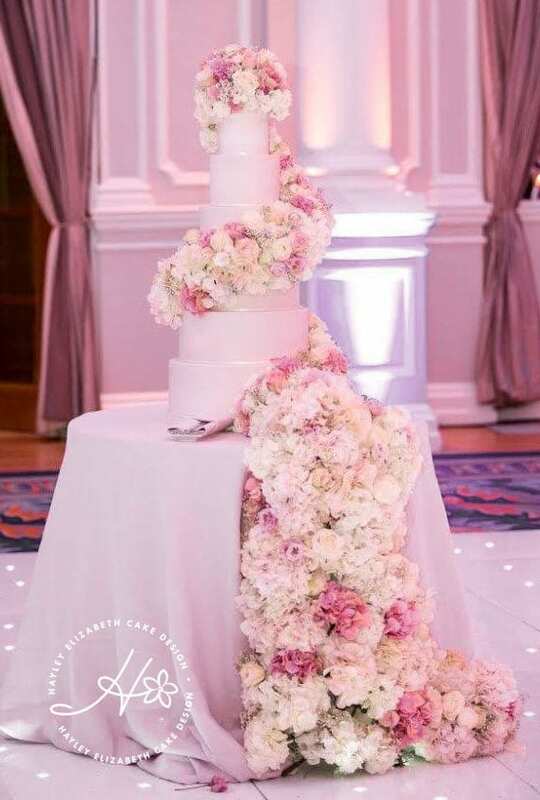 Why not decorate the cake table with fresh flowers to match sugar flowers on the cake! 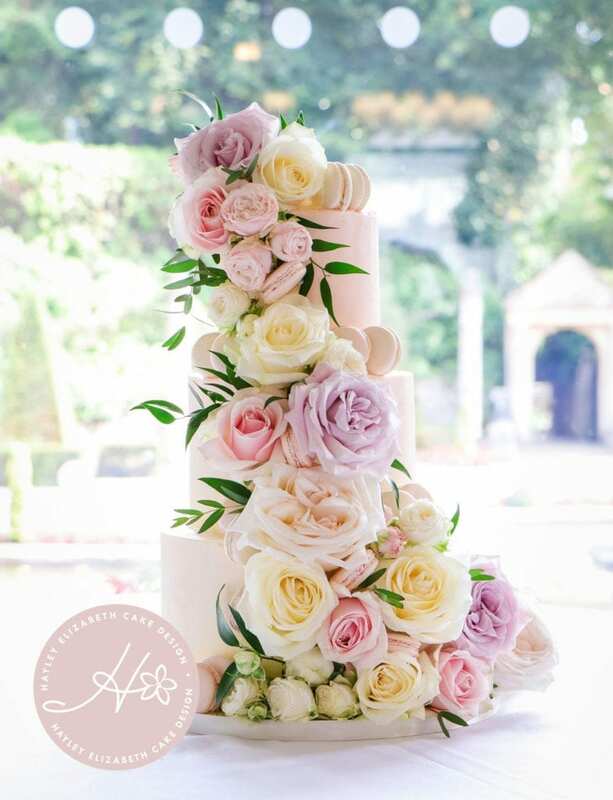 This is a great way to have the scent and effect of real blooms while giving you full creative reign with the cake itself. 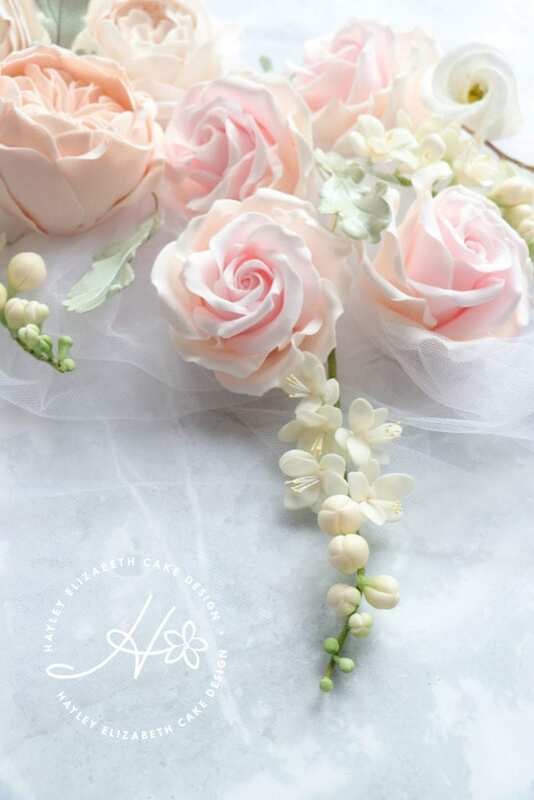 As you can see, there are many things to consider when making the decision between sugar flowers or fresh flowers, and it is a decision very much down to the individual. To book a consultation and discuss it with me further, click here.